Brander is a modern WordPress theme with a fully responsive design. It has a wide range of features and comes with popular Revolution slider and isotope plugin. It is very easy to customize and comes with detailed documentation and top notch support. 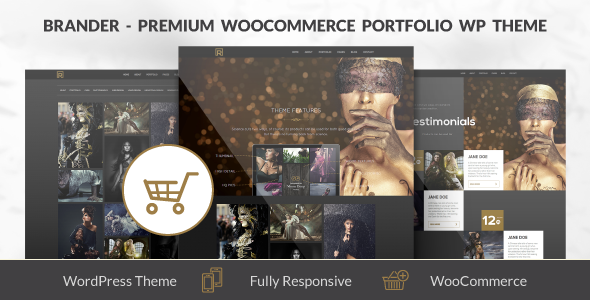 Item Reviewed: Brander - Premium WooCommerce Portfolio WP Theme 9 out of 10 based on 10 ratings. 9 user reviews.